Increase efficiency and decrease fuel costs and emissions with control systems designed to get the most out of your boiler room. 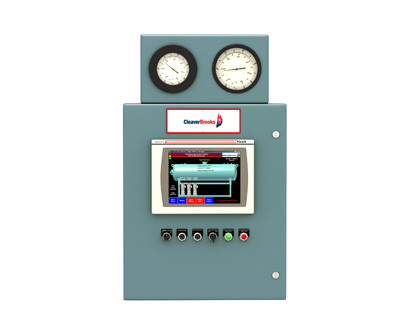 The Hawk series of controls are integrated boiler room control packages that come standard for precise fuel-to-air ratio control with parallel positioning, O2 trim and variable speed drive in one integrated system. 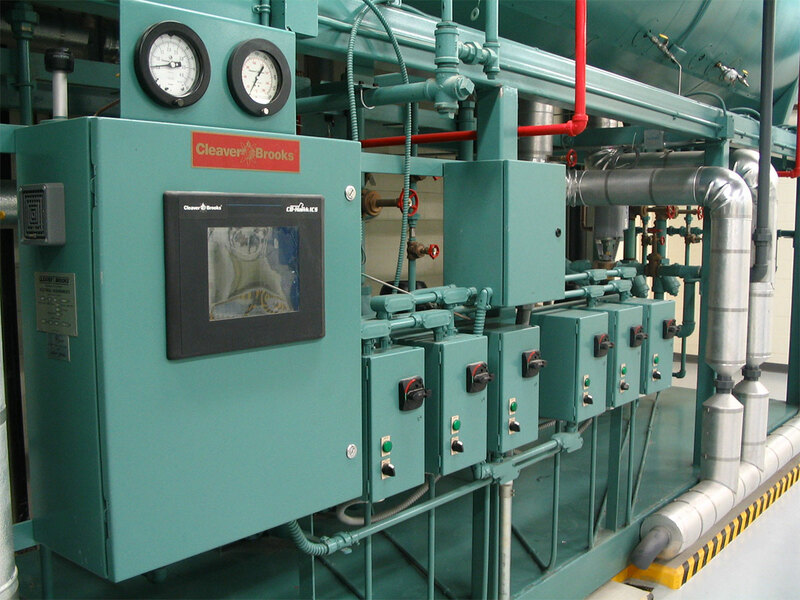 By controlling the condensing and non-condensing boilers using independent PID loop control, the HSC can optimize boiler operation based on the unique characteristics of each boiler type resulting in maximum system efficiency. 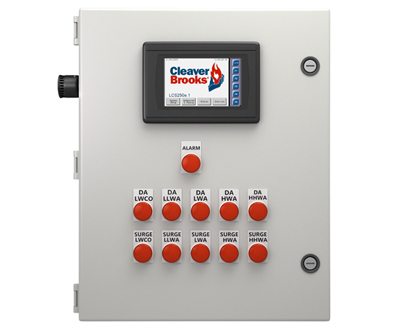 The ADAC is a PLC based DA/Surge Tank control system capable of monitoring all points on a DA or Surge tank. The LCS250e.1 is a level-control system which uses 1 or 2 modulating valves to maintain water level in a two-tank system. Level control is provided for the DA tank while the surge tank receives feed control, with a bias to limit the valve position according to surge tank level. The system accepts a 4-20 ma input signal from each of the DA and Surge level transmitters. Alarms for both tanks include High-High-, Low-, Low-Low-, and Low-Water cut-off levels. Data is available via Modbus RTU communications or logged to an optional Micro SD card. The LCS250e.1’s HMI puts the control of the level control of a single tank DA and Surge system at your fingertips with its user-friendly menu system and screens. The LCS250e.1 is an ideal, low-cost system when electronic level control is required over mechanical level systems for two tanks. For single tanks, the LCS150e.1 level-control system uses 1 or 2 modulating valves to maintain water level in a single tank. 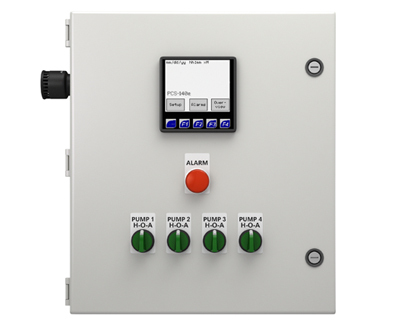 The PCS140e.1 is a simple pump control system with lead/lag sequencing on a timed rotation, "first on first off" basis, or manual rotation (user-selectable). 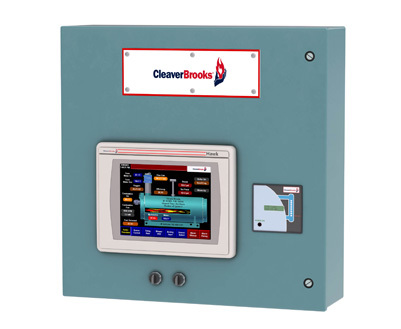 The C-B Level Master is a state-of-the-art water level control system that monitors and displays boiler water level. The magnostrictive design allows for precise measurement of water level. Advanced technology alerts the operator if the level float is slowing down in relation to normal movement and prompts the operator to perform a water column blowdown. 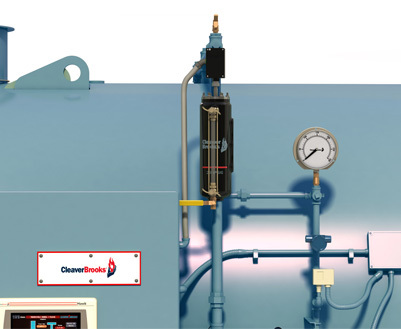 The system also detects if the float has not moved and shuts the boiler’s burner off while time- and date-stamping the stuck float condition. Other information is time and date stamped based on proper or improper routines performed by the operator. Internal system check makes this the safest water level control on the market today. Do You Inspect Your Boiler Safety Controls? 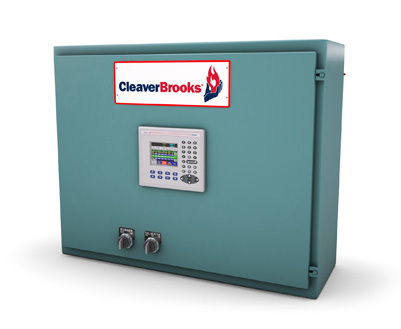 Posted in Manufacturer News & Information, Tech Talk	| Tagged Cleaver-Brooks, Cleaver-Brooks Controls, Tip Sheet	| Comments Off on CB Tip – Do You Inspect Your Boiler Safety Controls?